Singer/Actress Willow Smith attends the BET Awards ‘12 at the Shrine Auditorium on July 1, 2012 in Los Angeles, Calif.
I’m always skeptical of famous parents who let their children chase professional entertainment careers before they’ve even hit puberty. The artistic results can be mixed, as has been the case with Mad Men creator Matthew Weiner’s decision to cast his son Marten Weiner to play Glen Bishop on the lauded AMC show. And the psychological track record for child stars can be unsettling. Just recently, Disney Channels Worldwide president Gary Marsh insisted that he wasn’t responsible for raising his networks’ stars, and that he shouldn’t be blamed if he puts a vulnerable young person in a significant spotlight. “Someone like Demi [Lovato, who sought treatment for significant psychological issues] is an unbelievably talented young woman who had some challenges in her life from before we met her and will probably have those challenges far into the future,” he told the Hollywood Reporter. “It’s not fair, if that’s the right way to express it, to lay that at the feet of the network that discovered her.” But despite my general anxieties about the fates of young performers, I can’t help but be charmed by the trajectory of the undeniably talented Willow Smith, daughter of Will and Jada Pinkett. The Smith family appears to be striking a rare balance with their daughter, giving her an opportunity to seek out a stage for her talents, while making her age a feature of her performances rather than a bug to be erased with sexualized performances or too-grown-up costumes. 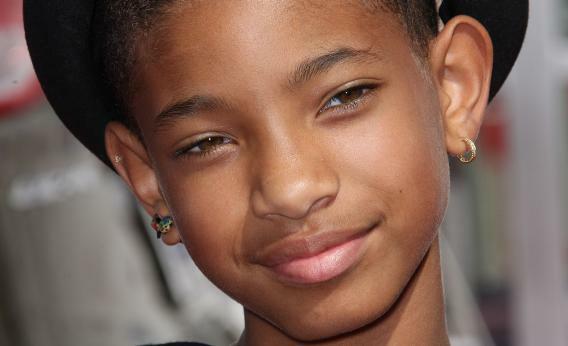 To a certain extent, Willow Smith strikes me as the Pixar of child stars. She doesn’t need to slip double entrendres into her lyrics that adults will get but that will pass over her core audience’s heads, a la Dreamworks. She doesn’t have to be an aspirational figure, a Disney princess little girls can look up to for the future. Instead, the persona she’s presenting to the world, whether it’s her authentic self or not, is very much eleven years old. And Smith and her managers are trusting that what she has to sing will be interesting and compelling to adults without gussying or sexing it up. A line like “your validation is just not that important to me” may be a profound revelation to a listener who’s just heading into middle school and a welcome—if familiar—reminder to a grown-up having a bad day. That doesn’t mean she’s serving up generically appealing pablum. Rather, Willow Smith is a reminder that in rushing kids in the public eye into adulthood, we’re missing out on the chance to see them encounter the world for the first time, and to be recharged by their bravado and their hopes.